Do you want to save more? If yes, this offer is exactly for you. So, please sit down and read more information below. Take 25% off your purchase of $200 or more. Or take 30% off your purchase of $300 or more. Offer is valid online only. No code needed to receive the offer. Source of the information is Cole Haan. 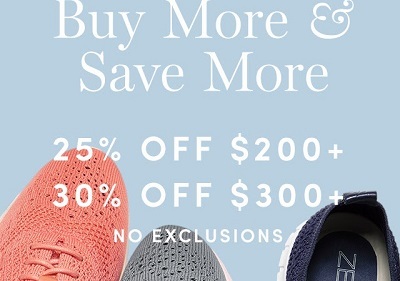 For more details visit Cole Haan online.